Sam Adams Or Tsingtao? OUR CHOICE! China is once again pushing at the envelope. Our decadent press rather than report the fact, instead uses the typical Journalism School ploy of hiding the main point behind supposed questions as to “why”. 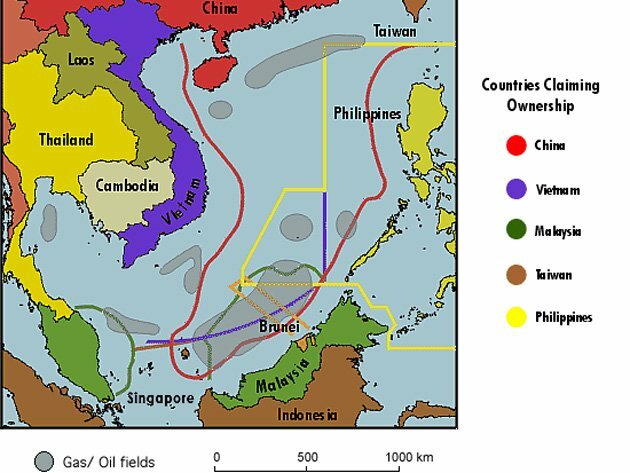 The Yahoo headline, “Why China is putting an oil rig off Vietnam coast” does not limit itself to the facts, but in even giving the news seeks to justify it. Our media companies are all owned by a handful of interests and these interests themselves incestuously own shares in each other. Our media is controlled by this Crony Capitalist class. Of course there is no discussion of the actual causes of China’s trade surplus nor its consequent military and geopolitical results. If we are to contain China and reverse America’s decline it must be done soon. We can do it. YES WE CAN! But not the Obama way. We must look back to Sam Adams and the Sons of Liberty. Just as the American colonies were exploited by Great Britain, the American states are being exploited by a corrupt Globalist system which has captured the Federal Government. 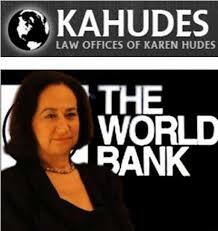 Karen Hudes formerly an attorney for the World Bank has come forward to explain the worldwide corruption capable of actually capturing nations. The video referred to here is an excellent interview, and is a good place to get an overview of the hideously complex web of global corruption. The power of boycott is in OUR hands. However, to make a boycott bite there must be a sense of social opprobrium created in those who defy it. Though we talk often of the “Tea Party”, the actual Boston Tea Party was not a talking club. It was a direct action. When the illegal Stamp Act was imposed upon the Colonies, the post of Stamp-Seller was supposed to be a lucrative patronage position given to a well-to-do Loyalist. However, the reality was was not so pretty at all. He was burned in effigy, and was belittled on the streets. If that did not suffice, his house would soon be lacking glass in its windows. And if that was not enough… next came THE TAR & FEATHERS AND THE RAIL. Soon there were few takers of the Stamps. The British brought in British East Indian Tea at a discounted price so that even with the tax on it, it would be cheaper than the price of smuggled tea. The SONS-OF-LIBERTY made it “uncomfortable” at the least for shopkeepers to stock the taxed tea. Again, windows would be broken, shops vandalized, names taken, homes visited. And those who bought the contraband tea were mocked and spat at. But ultimately the Tea was destroyed in a direct action! Since the Federal Government treats the states as colonies, fails to protect American labor and our trade balance through the Constitutional authority given Congress, then it is up to us. BOYCOTT CHINESE GOODS. That is the minimal act. BOYCOTT STORES THAT SELL CHINESE MANUFACTURES. Picket the stores. Make it uncomfortable for shoppers to defy the boycott. Make the store owners, whether the owner of Walmart or the owner of The Dollar Store have always to be looking over their shoulders. Take names, burn liberty trees on their front lawns to demonstrate that we know where they live. Since most of the stores in which we buy Chinese goods are owned either corporately or by people remote behind gated estates, the store managers must also take the heat. Nocturnal visitations to them, and Liberty Trees ablaze in their lawns will make them seek other employment. FINALLY if we were to actually follow the steps Sam Adams laid out, the massive container ships that carry Chinese made manufactures themselves must be protested. Let the ports be picketed, and blockaded. Ultimately let the ships be attacked. Make the insurance costs of container ships from China act as their own tariff. IF OUR ELECTED CONGRESS WILL NOT USE THE CONSTITUTIONAL POWERS GIVEN IT TO PROTECT AMERICAN TRADE AND WORKERS WE SHALL HAVE TO DO IT OURSELVES. Congress has too much time on its hands to poke into areas that are not enumerated, they must be forced to apply themselves to establishing the Trade Policy for the United States. Article 1, Section 8, Clause 3, of the Constitution: To regulate Commerce with foreign Nations, and among the several States, and with the Indian Tribes. HERE IS SOMETHING I JUST HAPPENED TO STEP IN, AND WILL HAVE TO WIPE OFF MY SHOES. THE LEGAL DICTIONARY defines the Commerce Clause: (http://legal-dictionary.thefreedictionary.com/Commerce+Clause+of+the+United+States+Constitution) ”The term commerce as used in the Constitution means business or commercial exchanges in any and all of its forms between citizens of different states, including purely social communications between citizens of different states by telegraph, telephone, or radio, and the mere passage of persons from one state to another for either business or pleasure.” THE MERE PASSAGE BETWEEN STATES IS SOMETHING THE FEDERAL GOVERNMENT CLAIMS JURISDICTION IN?! Will we be required to have internal passports? If this is what law students are being taught, Karen Hudes is a miracle. With every purchase we make, we are voting for the future of America. We need just say NO and the de-industrialization and impoverishment of America stops. SAM ADAMS AND THE SONS OF LIBERTY HAVE SHOWN US THE WAY TO FIGHT OPPRESSION IN AN AMERICAN WAY. Quit drinking Sam Adams, and start acting like him. And NO TO Tsingtao. This entry was posted in Uncategorized and tagged Boycott of Chinese Goods, China threat, Commerce Clause, Pacific Ocean, Philippines, Sam Adams, Sons Of Liberty, South China Sea, Tariffs, Trade, Vietnam. Bookmark the permalink.